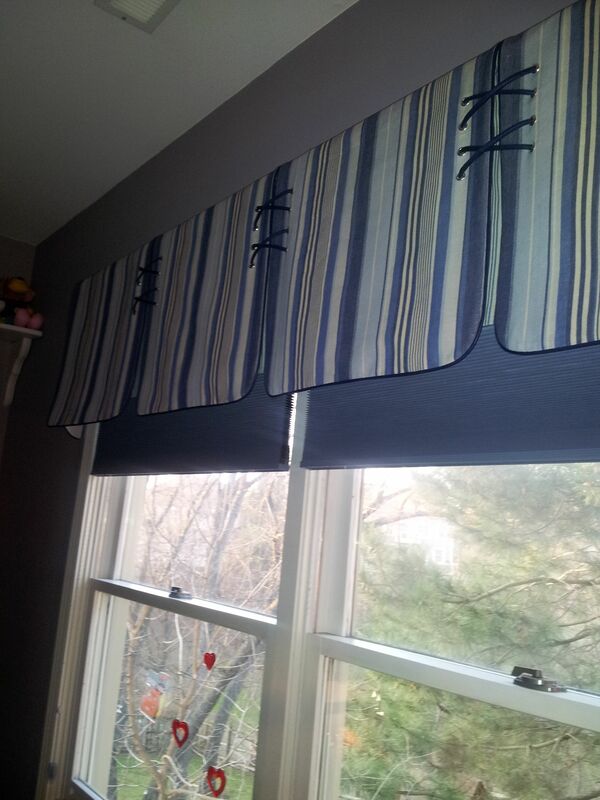 How to be creative with your Valances! In my opinion what makes a valance, or any window treatment is the bells and whistles you add. When I say bells and whistles, it is not necessarily has to have fringes, trims, and embellishments, it could be adding an unusual pleat, buttons, contrast cording, grommets or the way you lay your fabric. Cutting your fabric on the bias, especially if the fabric has a special design, such as checks, or a geometrical pattern effects the look of the valence. How about alternating the pattern, perhaps having the face of the valance be normally cut and inserting the pleat that has been cut on the bias? Take a look at the pictures below.